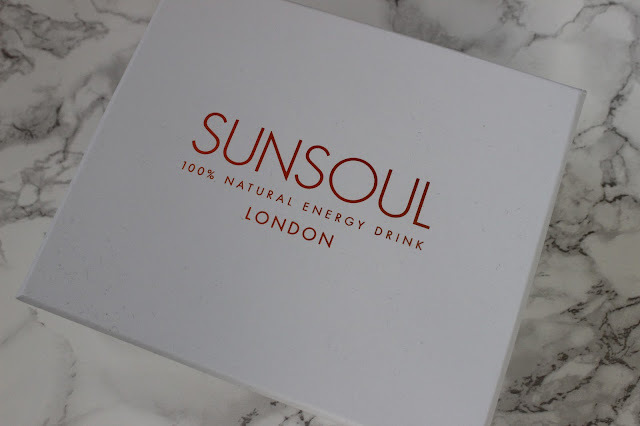 I recently received these lovely looking drinks to review, I hadn't heard of SunSoul previously but was looking forward to trying out their different flavours which were all quite appealing to me. 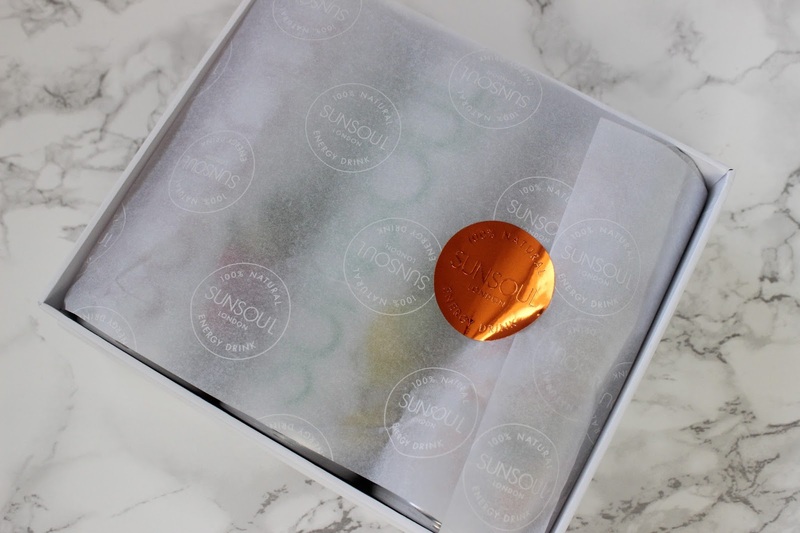 First up I was so impressed with the packaging of these products, I loved the box they came in and the the copper detailing on the box and the sticker inside. Who knew drinks could be presented so pretty looking? "Sunsoul delivers the alertness and mental energy you need without the refined sugar and calories" sunSOUl pride their products on being 100% natural containing none of the nasty INGREDIENTS normal energy drinks contain, personally I think its such a great idea! 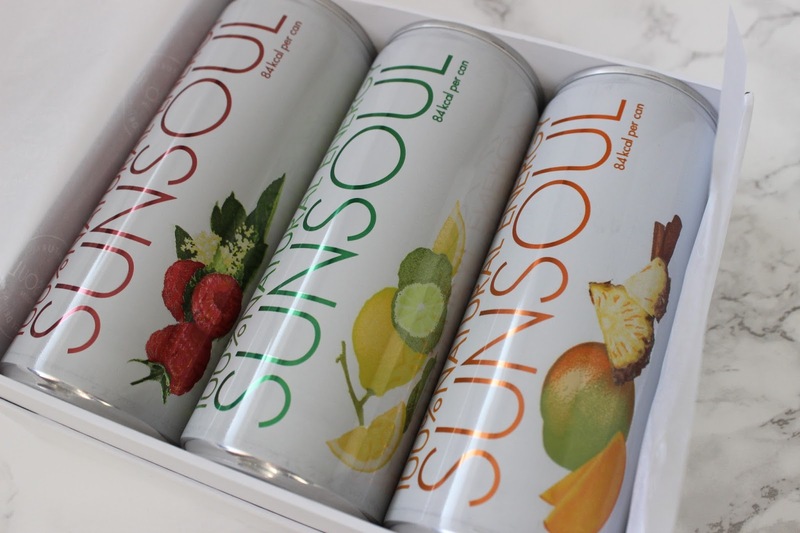 SunSoul comes in three different flavours, raspberry and elderflower, Lime and lemon and mango and pineapple. 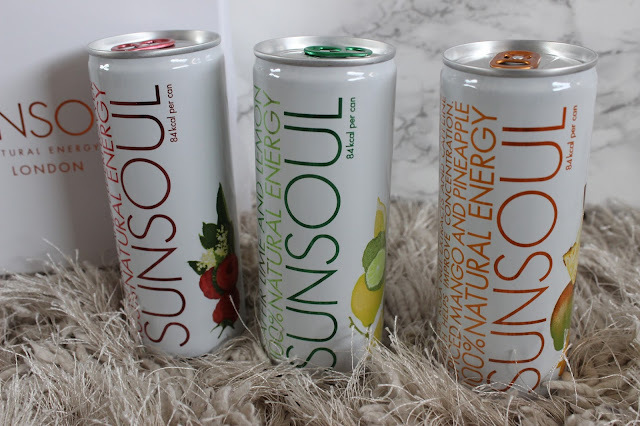 They were all really lovely, they were completely different to what I was expecting as they didn't taste like a standard energy drink they were full of flavour and I didn't want them to end! The lemon and lime was definitely my favourite! 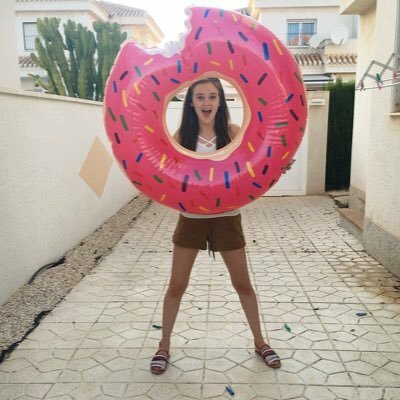 I'll definitely be purchasing some more in the future!